Ardour by Paul Davis of Amazon, is an Open Source DAW, or Digital Audio Workstation, with a feature set that rivals that of commercially available software. BatchGeo is an elegant solution generates a Google map with location markers from just about any data set of locations. It is really handy for adding maps. Built in obsolescence, also known as planned obsolescence, is the practice of some manufacturers to design products to fail within a planned life expectancy. 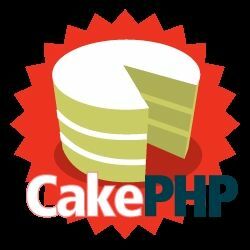 CakePHP is a robust open-source MVC framework for web developers. It provides solid database, file, and directory naming patterns and code generation tools. Cascading Style Sheets (CSS) is a programming language that allows for a separation of content and formatting and is standard for all presentation on the web. With the advent of digital signal processing it became possible to model the behavior of individual components within a circuit. Computer Brain Syndrome include a short attention span, eye strain, blurry farsighted vision, carpal tunnel, bad posture, back problems, and neck tension. Cubase is a digital audio workstation (DAW) for music composing and audio recording. It was originally developed for the Atari system in 1989 to support MIDI. DRY programming stands for Don't Repeat Yourself. In software development it is extremely important to consolidate logic into reusable methods and widgets.